Yes, please send me Starbucks news and offers via text message to this mobile number. Yes, please email me Starbucks news and promotions to this email address. Please read and accept the Terms and Conditions Agreement. The Starbucks Card Corporate Sales team appreciates your interest in making the Starbucks Card part of your business‘s campaign. 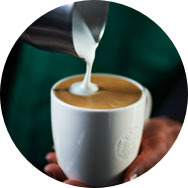 • The Starbucks name or Card image cannot be used on the outside of a direct mail piece (i.e. postcard, envelope). Please read and accept the terms by clicking the checkbox at the bottom of the Terms and Conditions agreement. Then click "I Agree"